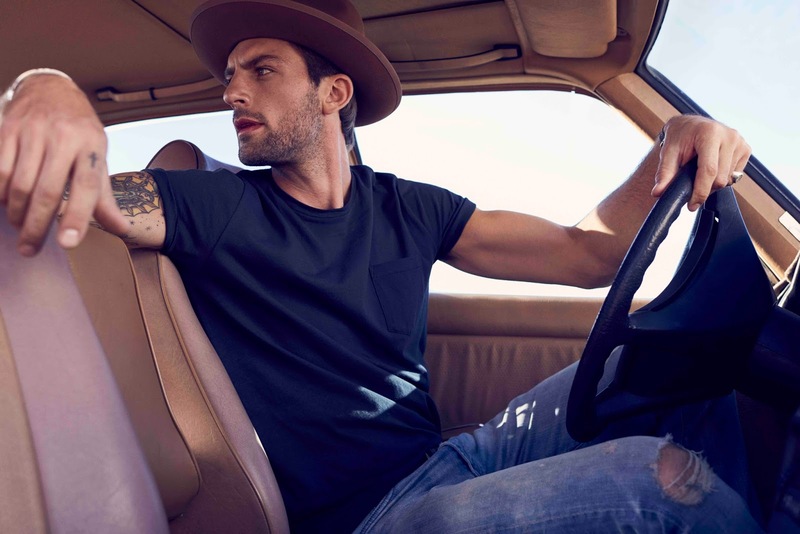 Continuing with the pre-spring (I guess we can call them that) fashion posts, today I have a really cool post about the vibes I will be going for this upcoming season, inspired by Bonobos, a menswear company with a specific focus on finding the perfect fit and style for all men. Their new spring collection has helped me shape my spring aesthetic: I am going for minimalism, with shades of grays, blues and white, and hints of metallic colors and pastels. I'm loving the solid-colored pocket t-shirts, crew neck sweatshirts, and striped shirts! 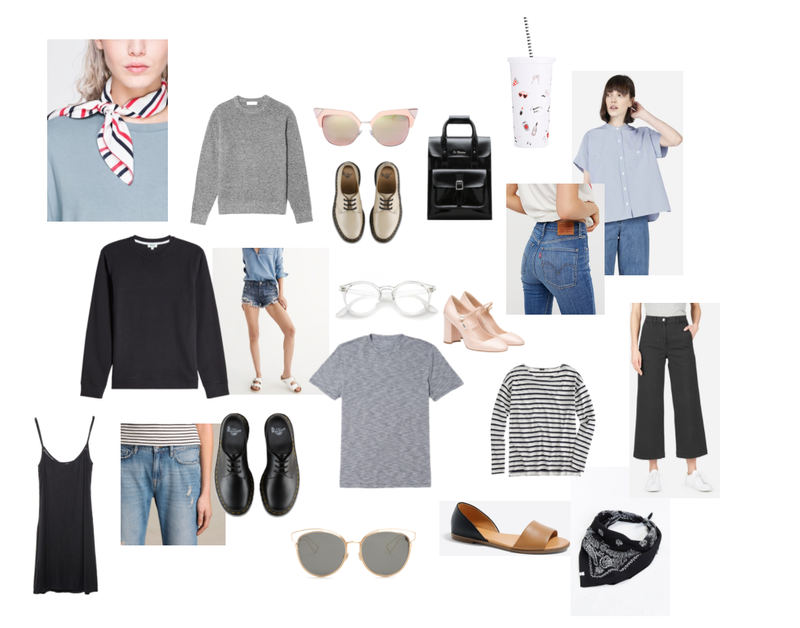 After several months of gloomy, foggy days here in Chicago, and wearing annoying layers of thick clothing, I am more than ready for sunny spring and minimalist styles! Light, flowy clothing and blues, grays, and white will definitely be present in my wardrobe this spring. This season I'll also definitely be bringing back the stripes. To spice it up, I'm thinking of relying on interesting details such as hints of metal and pastel-colored accessories like sunglasses, watches, and necklaces. Looking at menswear has also inspired me to look for statement shoes and structured bags that are more androgynous in style. Nonetheless, the occasional vintage-looking scarves and (also vintage-inspired) heels will be present as well. Finally, a hint of red is always welcome in all of my outfits, but that's just something that never goes out of style for me! Let me know what you guys think about this style for springtime and leave a comment with the looks you guys are excited to wear this season!